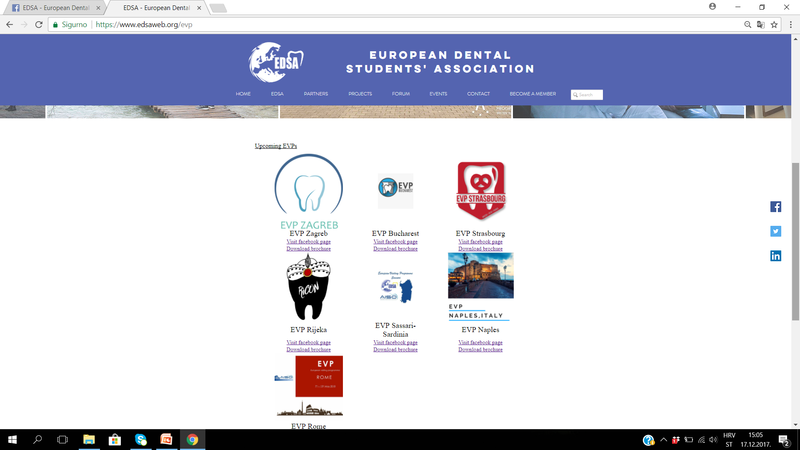 Sieben auf einen Schlag – neue EVPs – European Visiting Programm von EDSA – European Dental Students Association veröffentlicht. We are happy to inform you that brochures and facebook pages of EVPs are now available on the official EDSA facebook page and EDSA website page. You can now dowload brochures and skim through facebook page of every EVP and see what they have to offer.